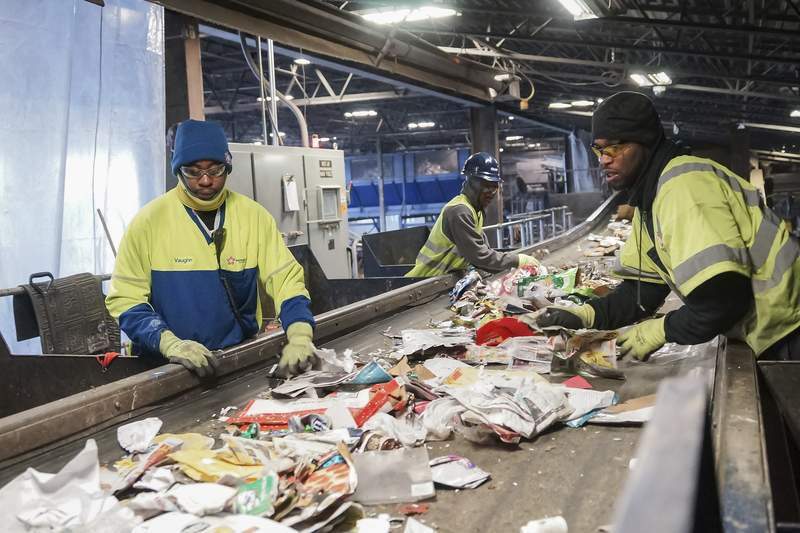 Photos by Mike Moore | The Journal Gazette Because mills that accept recycling have become more picky about what comes in, Republic Services in Fort Wayne has hired more employees to ensure that what comes through is actually recyclable. 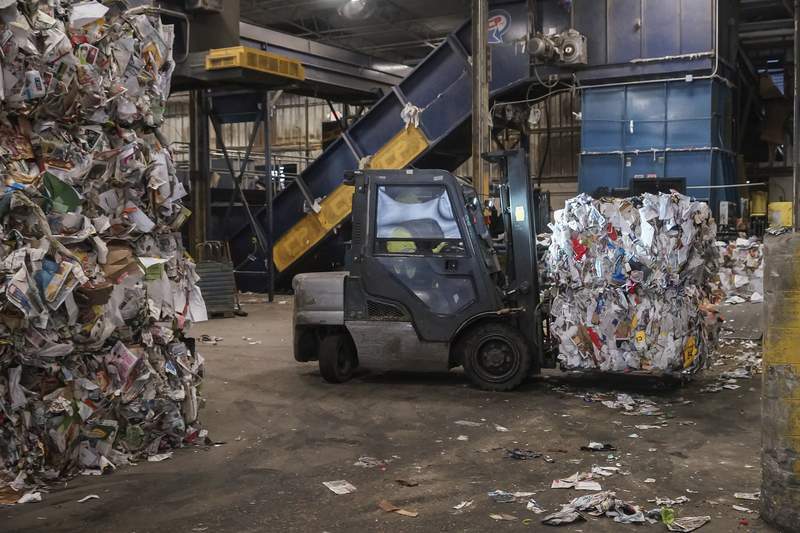 Aluminum cans are baled into cubes that weigh about 1,000 pounds each before being moved to a holding facility at Republic Services’ recycling center on East Pontiac Street. Mike Moore | The Journal Gazette Shane Stevens, Republic Services operations manager, says the influx of recyclables from East and West Coast cities has driven down prices. Mike Moore | The Journal Gazette Plastic are sorted into three types by employees at the Republic Services recycling facility on East Pontiac Street in Fort Wayne. Mike Moore | The Journal Gazette Employees of Republic Services sort out paper products at the company's East Pontiac Street recycling facility in Fort Wayne. Mike Moore | The Journal Gazette Bales of paper products are moved to a storage facility with a forklift before being recycled at the Republic Services recycling facility on East Pontiac Street in Fort Wayne. Mike Moore | The Journal Gazette Aluminum can bales like these can weigh up to 1,000 pounds before being moved to a holding facility at Republic Services' recycling center on East Pontiac Street. China's refusal to buy imported recyclables has forced some Indiana communities to reconsider recycling options. Towns and cities are addressing the problem in different ways. Johnson County, south of Indianapolis, has closed its recycling drop-off sites. Republic Services doubled its cost to Indianapolis customers to $99 a year. Markle, which straddles the Huntington-Wells county line, approved a measure Wednesday to equally share the expense with recycler Waste Management if processing costs rise above $30 per ton. Fort Wayne is still making money on recycling, although revenue is down, a city official said. 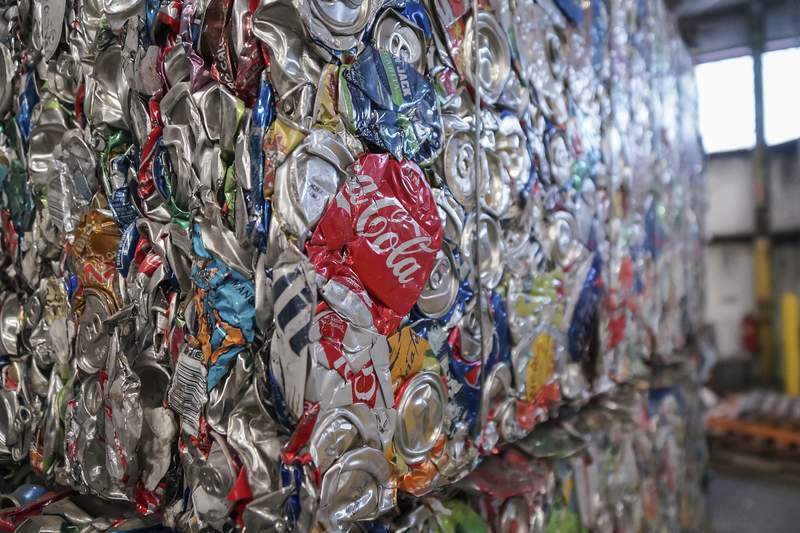 It all stems from a policy shift by China, long the world's leading buyer of recyclables. At the beginning of the year it enacted an antipollution program that closed its doors to loads of wastepaper, metals or plastic unless they're 99.5 percent pure, the Associated Press reported. 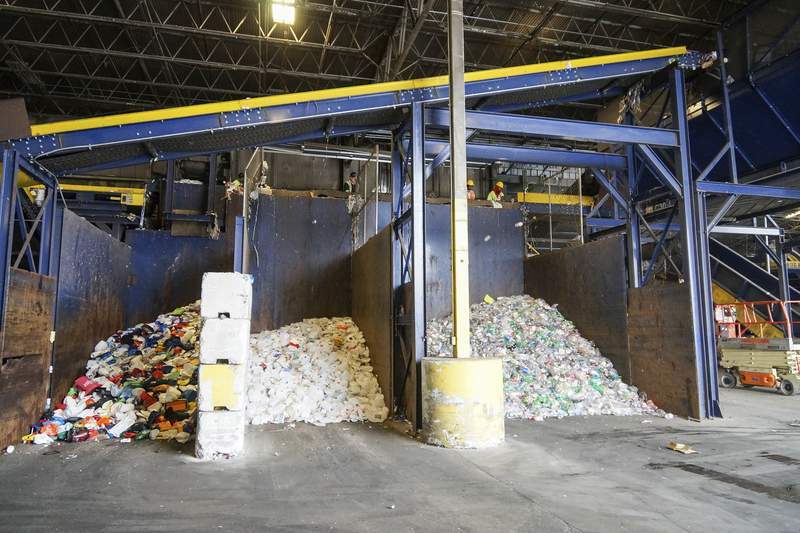 That's an unattainable standard at U.S. single-stream recycling processing plants designed to churn out bales of paper or plastic that are, at best, 97 percent free of contaminants such as foam cups and food waste. 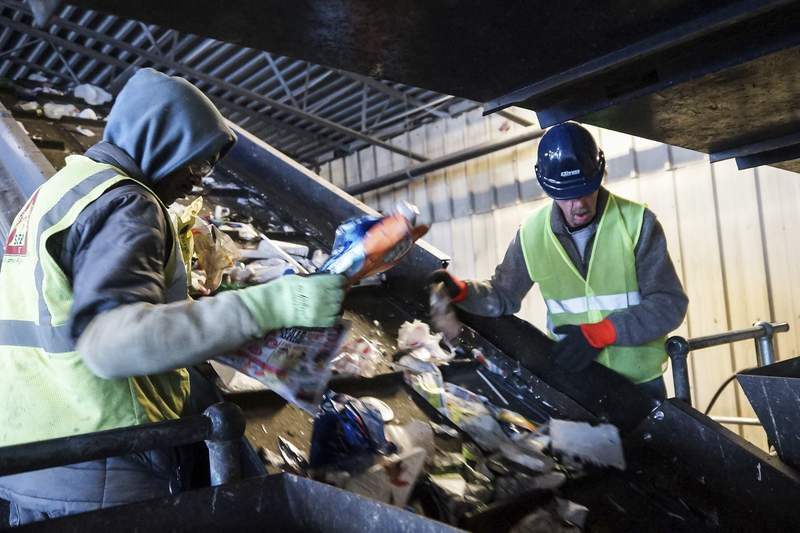 The three largest publicly traded residential waste-hauling and recycling companies in North America – Waste Management, Republic Services and Waste Connections – reported steep drops in recycling revenues in their second-quarter financial results. Houston-based Waste Management reported its average price for recyclables was down 43 percent from the previous year. “That really, I'm sure, hit a lot of communities pretty hard,” Carolyn Hamilton, Markle clerk-treasurer, said of China's move. 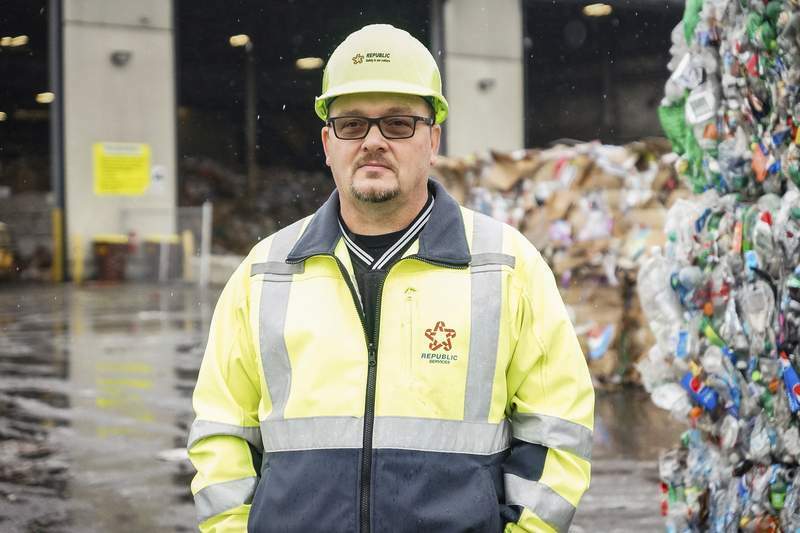 Republic Services' recycling center in Fort Wayne hasn't been as affected as some other Republic businesses, said Shane Stevens, site manager. 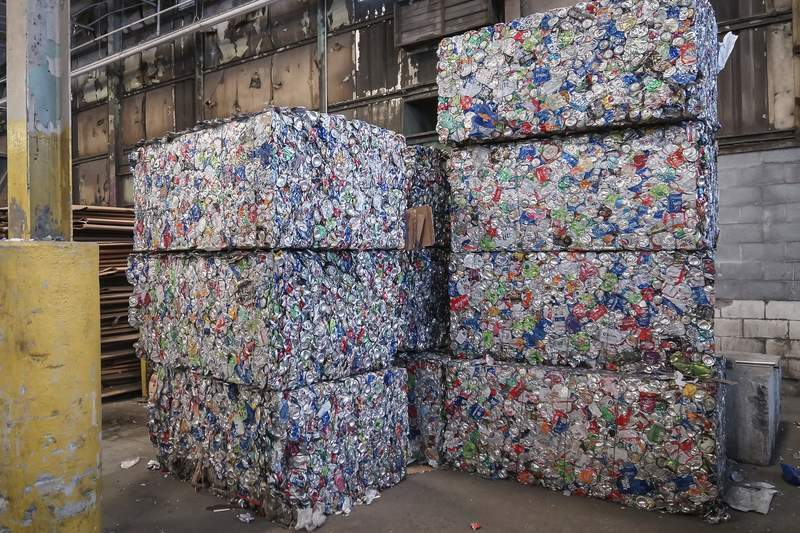 Most of the West and East Coast recyclables that went to China are now coming to the Midwest. That flooded the market, driving prices down, Stevens said. “It drives plastic prices down. It drives paper prices down. The price of cardboard right now is lower than it has been since 2000, that I can remember,” he said. Fort Wayne pays Republic to process recyclables and gets 75 percent of what they are sold for, said Frank Suarez, city spokesman. City revenue from recyclable commodities is down about 35 percent from last year, Suarez said. Using one month as an example, revenue dropped from $54,943 in August 2017 to $35,756 this year. The city's recycling effort is hurt by contamination, Suarez added. People are still putting yard waste and objects such as greasy pizza boxes in their curbside bins. While recycle prices are down, it's still cheaper than landfill disposal and saves landfill space, Suarez said. “So, anything we can do to prolong the life of the landfill is good for the whole community and even outside our community,” he said. About 10.5 percent of what people put in their recycle bins goes to the landfill, Stevens said. Christmas lights, clothes, shoes, dog chains, auto parts and large plastic lawn furniture are among non-recyclable items found in the bins, he said. Eighty-three percent of city residents recycle, which is paid through a $12 monthly user fee found on a household's City Utilities bill. With the market glut, mills that buy from processing centers have gotten picky, selecting only the best material, Stevens said. “So, we have extra people that do nothing but make sure our quality control and material is clean enough so that when it goes to the mill we have no rejection,” he said. That means paying more people to process the same amount of material as last year, he said. Allyson Mitchell, executive director of the Indiana Recycling Coalition, sees a silver lining for the state. Indiana is lucky in that it has recycling processors and an end market for the commodities, she said. Everyone is scrambling to find new end markets, and that's where Indiana needs to step it up, Mitchell said. She points to Pratt Industries in Valparaiso, which processes bales of cardboard to manufacture corrugated boxes, as an example.